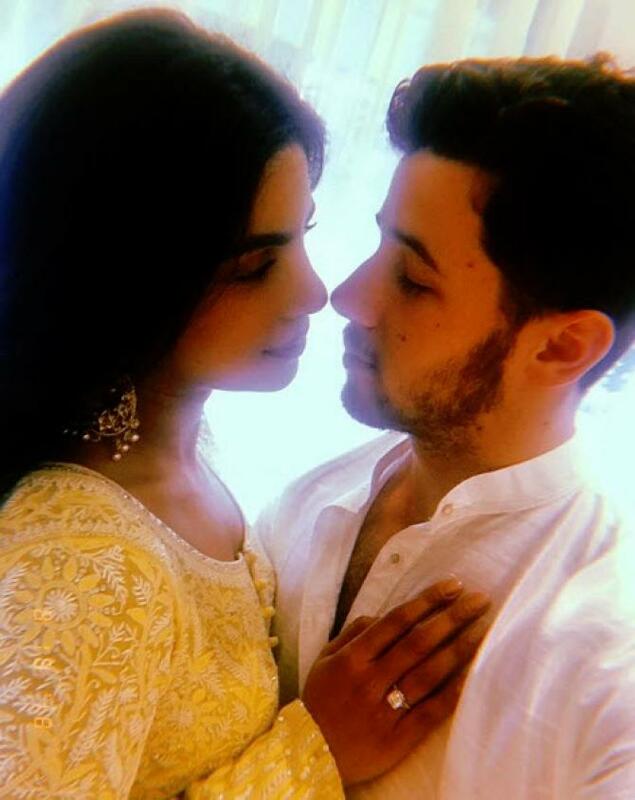 Looks like the celebrations around Priyanka Chopra and Nick Jonas’s engagement are far from over.The stunning lovebirds, Priyanka Chopra and Nick Jonas are the hot topic of discussion these days. The lovely duo has made their relationship official lately with a same romantic picture along with even more romantic captions. 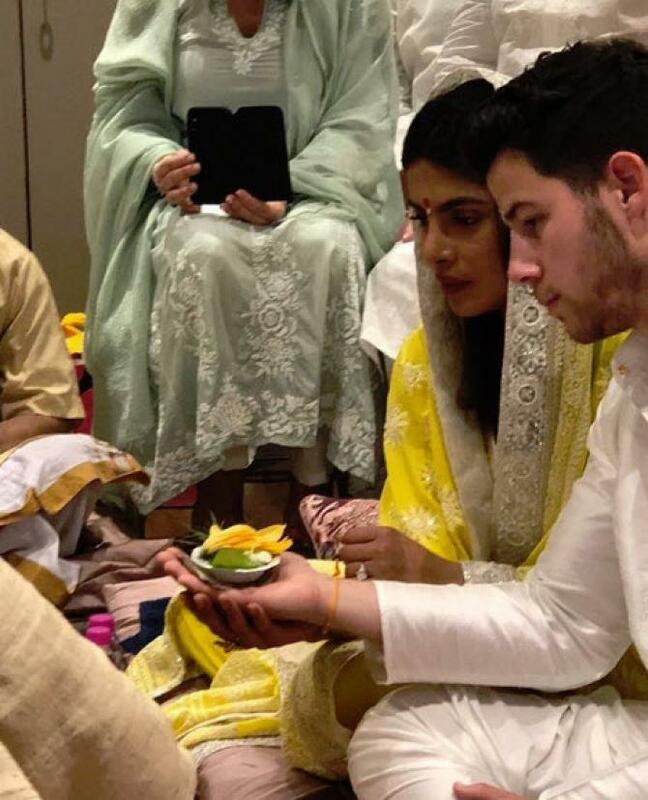 Priyanka Chopra and Nick Jonas got engaged in a traditional roka ceremony in Mumbai on Saturday..Priyanka shared a picture of herself posing with the inflatable ring. The size of the diamond on this on is only slightly bigger than the real ring Nick got for her.
. The function was held at Priyanka’s home. Only family and close friends were invited. Kevin and Denise Jonas, Nick’s parents, had accompanied him from the US. An engagement party was hosted in the night, which was attended by celebrities like Alia Bhatt, Arpita Khan and Aayush Sharma. Mukesh and Nita Ambani were also there, along with daughter Isha.On Sunday, before Nick Jonas and his family left for the US, Priyanka Chopra took them to St Catherine’s orphanage and her old home. At the orphanage, Nick sung Jonas Brothers hit Lovebug for the girls. “12 years of knowing these girls and they get all love struck by the Love Bug. Thank you, Nick Jonas and our families. Thank you to the sisters and all the girls at St Catherine’s orphanage for opening your hearts to us again. I’ll see you next time,” Priyanka wrote. She also danced to her song Tune Maari Entriyaan. 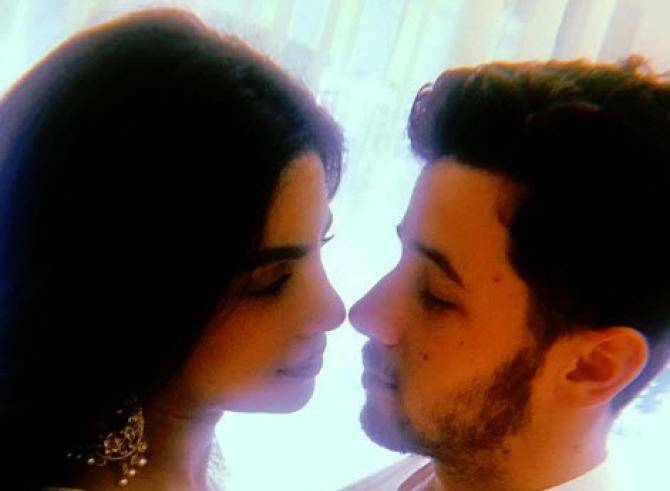 Ever since Priyanka Chopra and Nick Jonas started giving public appearances like a couple, people and all her fans in India have been drooling over them Some fans may be (unnecessarily) critical of Nick Jonas and Priyanka Chopra’s relationship due to their 11-year age difference, but the couple couldn’t care less about the gap While Priyanka made it official and wrote, “Taken.. With all my heart and soul..” Nick, on the other hand, introduced his lady-love in the best possible manner and wrote, “Future Mrs. Jonas. My heart. My love.” Both of them seemed to be madly in love with each other . “The age difference is not a big deal to them whatsoever,” a source close to Jonas told People. In fact, Nick, 25, is a fan of the age gap between him and Priyanka, 36. He “loves dating older women, and if anything it makes Priyanka even more attractive to him,” the source added. Jonas has “always been very mature for his age” and is “an old soul,” per the confidante. Even though Nick may be a fan of dating older women, he was drawn to Priyanka for more reasons than just her age. “He obviously thinks she’s beautiful, but he’s also drawn to her intelligence,” the insider added. “She has this charisma and energy that draws you to her, and she’s fit in so well with his friends and family. Nick Jonas is one of the most famous names as an American singer, songwriter, actor and record producer. His claim to fame was the days when he was a lead singer with the band named “The Jonas Brothers,” which he created with two of his brothers, Joe Jonas and Kevin Jonas long back in the 2000s. The three charming, handsome and very talented brothers together became every girl’s favourite. It wasn’t long before everyone was singing along to their songs including ‘Lovebug’, ‘S.O.S.’, ‘Burnin’ Up’, ‘Paranoid’, ‘Wedding Bells’ and many more. But unfortunately, misunderstanding cropped between the brothers and their band went kaput. Jonas was featured on OK!’s list of 2014’s Sexiest Men Alive,while his photo shoot for Flaunt was listed on their Most Memorable Naked Moments list.He was ranked at number ten on People’s Sexiest Men Alive list in 2015.He was ranked in sixth place on Capital FM’s list of Sexiest Men in Pop during 2016.Jonas’ new public image has led to him receiving a large fan following in the LGBT community, a fact he claims to be “thrilled” about. Some of Jonas’ interviews and comments have drawn criticism as being “gay pandering”, though Jonas had denied these claims.